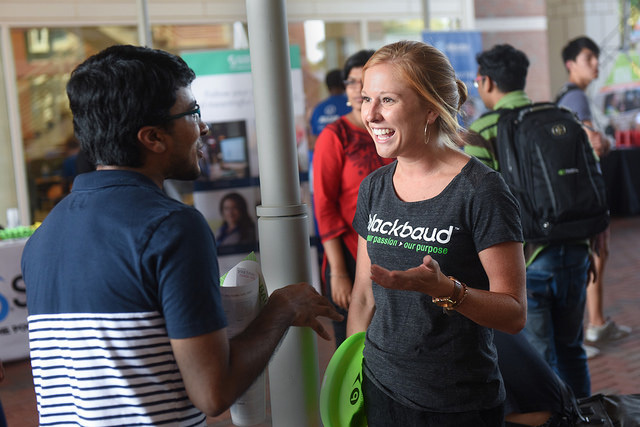 The computer science department values its interactive relationships with the corporate community, both within the Research Triangle and beyond. We are open to exploring new opportunities to partner in research and to strengthen the educational experience of our students. Each is critical to the department's vision and/or ongoing operation, each offers corporate exposure to large and varied audiences, and each carries a sponsorship value of $2,500 (unless otherwise noted). Audiences targeted for sponsorship option are designated by the following symbols: Undergraduate Students, Graduate Students, Alumni, Faculty, Outreach. The ACM/AITP is the largest student organization serving undergraduate and graduate computer science students at NC State University. The organization provides a variety of opportunities throughout the year for students to get involved in their department, gain insight into emerging technologies, and learn about the exciting career opportunities awaiting them in this dynamic field. Sponsorships provide funding that allows this vibrant organization to prepare and nurture the future generation of technology leaders, problem solvers and entrepreneurs through outreach, networking, competition, and developmental opportunities. Your sponsorship helps cover the operational expenses for the group that might include speaker fees, facility rentals, food & refreshments, publications, conference fees and sponsorships, affinity items, travel, and other expenses associated with fulfilling the mission of the organization. Sponsors will be recognized on the ACM/AITP student organization web site, will be provided a member resume book, and will have the opportunity to engage directly with this group via structured opportunities such as dedicated mixers, panel discussions, info sessions and/or development sessions. The NC State Computer Science Student Ambassadors program is a very select group of about 25 undergraduate students who represent our department at a variety of academic, social and networking events held throughout the academic year, and through personal interface with prospective students through our outreach efforts. During their time as ambassadors, we are committed to providing guidance and development opportunities that promote enhanced leadership, communication and other vital life skills. Your sponsorship covers travel, branded attire, incentive awards, development opportunities, and a year-end recognition event. Sponsors have the opportunity to engage directly with this group via structured opportunities such as dedicated mixers, panels, info sessions and/or development sessions. These are awarded annually to a student who has won a regional or national NCWIT Aspirations Awards and who comes to NC State to study computer science. Awards are targeted at entering freshmen, and are renewable for up to four years given the student remains academically eligible and makes satisfactory progress toward completion of a degree in computer science. Donations in support of this opportunity, like all scholarships, are considered “restricted” and can be used only for the purpose of the scholarship. CSC plans to continue to partner with the Centennial Campus Partnership Office to co-sponsor their ‘Centennial Rocks’ celebrations tentatively planned for the fall. 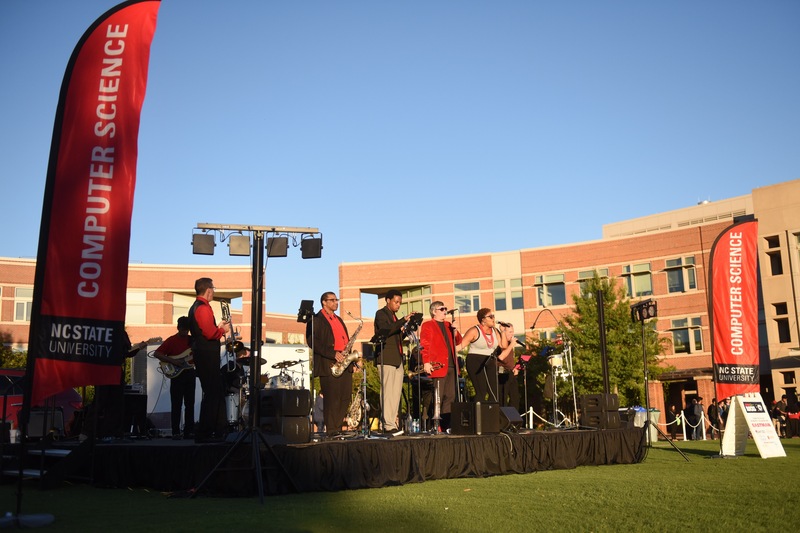 The event draws 600+ alumni, students, faculty, and Centennial Campus partners to enjoy live music, games and activities, as well as free food, beer, and Howling Cow ice cream. Your support will help cover performer booking costs, equipment & staging, promotion, refreshments and more. Sponsors will be provided a table if they wish to attend and engage with students, in addition to recognition in remarks, print and digital advertising, and social media. However, this event is an opportunity for companies to do something different if they don't want to table. Other options include hosting an activity, a game or a challenge – this event allows you to think creatively about how to promote your company culture. This program was designed jointly with the NC State University Theatre to create a fun and exciting experience that will introduce CSC students to theatre games and exercises that relate directly to the skills industry leaders tell us are essential to success in today's business environment. The series of four 90-minute workshops are conducted at Thompson Theatre and focus on four primary skills areas - risk taking & personal awareness, critical & creative thinking, communication & presentation, and teamwork & collaboration. Students who attend and participate in all four workshops will receive a certificate. Your sponsorship will cover the cost for the theatre staff for course development and delivery. Sponsors may be notified of workshop days and extended invites to observe and interact with participants…and maybe even be involved in the skits, improve and exercises! The NC State Computer Science Department has an active program in competitive learning, using head-to-head competition as a context for teaching computer science and a motivation for building programming skills. Throughout the year, students meet for approximately two hours each week, working on new types of problems, studying programming techniques and working with their peers. In a typical semester, the competitive learning program may expose students to dozens of problems and algorithms they wouldn't get to see in their required coursework. Support for these activities lets us hold a local programming contest in the spring, with prizes for the winners. It also provides snacks and other incentives for the spring contest and for monthly mini-contests throughout the year. For a sponsor that would like a high level of involvement, there are opportunities to attend local programming contests, serve as judges, mentor teams and even to craft contest problems that highlight the sponsor’s domain. This full-color, print newsletter is mailed to approximately 9,000 alumni, corporate VIPs, and faculty members once each year, typically in early fall. Your sponsorship supports publication enhancements, printing, and distribution costs. The Computer Science ‘Alumni Hall of Fame’ celebrates and recognizes the exemplary contributions our outstanding graduates have made to their profession, their community, and to the world at large. Each year, we will target the induction of 3-5 honorees, as well as 1-2 Outstanding Young Alumni award winners. They will be recognized and celebrated at a glamorous and formal invitation-only induction ceremony in the fall. Your support will help cover event planning, facilities, staging, lighting, promotion, catering, swag items, etc. Sponsors will receive invitations and special recognition at the event. CyberSecurity competitions, like ‘Capture the Flag’, are security events that give a unique environment for exercising the students' abilities in the security domain. The students have to gather "flags" by identifying vulnerabilities in security challenges. Not only do students get a chance to test their knowledge in security-related topics, they also get a chance to network with industry professionals and other students who have similar interests. By creating a safe and isolated environment for the competition, the students have the ability to test their security skills in practice, learn about new security problems while having fun at the same time. Your sponsorship helps cover the teams' travel and living expenses for the competitions that take place throughout the school year, often organized by other universities/conferences, requiring travel, food/refreshments when they are remote. The sponsors are welcome to participate or mentor students in these events. Started in 2015 and hosted by the WiCS student organization at NC State, DiamondHacks is a hack-a-thon open to all college and high school women interested in computer science. For 24 hours, participants will form small teams and work to develop software in response to a specified topic or challenge. During this time, participants will also have the opportunity to attend technical workshops and lightning talks, network with women from industry and other local universities, and bond with peers through fun social events. DiamondHacks focuses on creating a fun, collaborative environment that fosters innovation and empowers women to pursue their interest in studying computer science. Sponsorship will help cover the cost of meals and snacks, materials and supplies for activities, swag for all participants, prizes for winning projects, and other related expenses. Sponsors are able to directly engage with participants by providing project mentors and speakers for structured events such as panels, workshops, and the keynote. Lower level sponsorships are available. 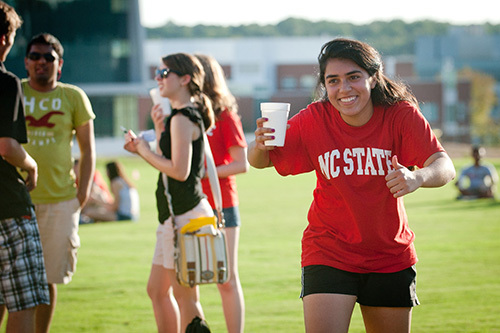 More information can be found on the website at http://www.ncsudiamondhacks.com/. Fall or Spring - Both fall and spring ceremonies are regularly attended by 1200 - 1500 graduates, family, friends and faculty. Because of the size and distinguished nature of these ceremonies, they are traditionally held in large venues such as Reynolds Coliseum or one of the mega churches in the area. Your sponsorship goes toward covering the cost of facility rental, refreshments, entertainment, and publications. Recent advances in AI and robotics - including self-driving cars, drones, and machine learning in general - have raised concerns of the power that autonomous, intelligent agents potentially wield over human lives. These concerns are far from misplaced. As technologies such as the ‘Internet of Things’ expand that provide data in larger quantities and control at finer grains than ever before, there is a distinct possibility of computational agents causing harm. This lecture series will host distinguished speakers on ethics in computing, specifically, topics such as algorithmic accountability, behavior of autonomous agents, safety engineering, and emergent properties of ensembles of machines. It will invite perspectives from systems engineering, legal theory and the humanities (science and technology studies; criminology; social psychology). We expect to organize between six and eight seminars. Your sponsorship will help cover travel expenses and honoraria for invited speakers as well as meals for the speaker and CSC members. Sponsors will be invited to all talks in the series. This departmental e-newsletter is distributed monthly to approximately 9,000 students, faculty, staff, alumni (those for whom we have email addresses), and corporate contacts. 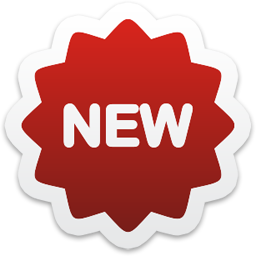 News items are segmented and distributed by audience category, and linked back to the complete eNews online site. Your sponsorship covers the entire year and supports web and email feature enhancements, address management, etc. These are weekly themed working sessions allowing computer science faculty to come together over lunch to discuss a variety of topics including strategic direction of the department, best practices, research overviews, professional development, etc. Due to the nature of faculty work (long and crazy hours balancing teaching, research and office hours), these sessions provide a much-needed and structured opportunity for faculty to come together to learn, share, and bond. They contribute greatly to enriching a positive culture and collaborative spirit within the department. Your sponsorship helps to support the catering costs for these sessions. Traditionally, our faculty retreat takes place in August and/or January, just before students arrive back on campus. It is typically one of the few times during the academic year that our faculty can come together to focus on long-term strategic planning. Your sponsorship will help cover the cost of off-site room rental, AV equipment rental, and catering. 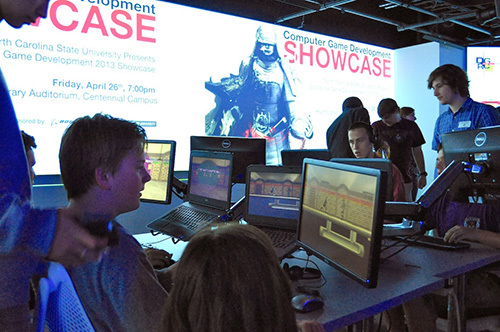 This extremely popular end-of-year event highlights the collaborative, team-based projects of computer science and industrial design students working to create computer games. This is a high-profile event, typically generating significant news coverage. And because it draws in a large number of students in the K-12 space, it is considered a strategic outreach and student recruitment event for the department. Your sponsorship covers event planning, catering, refreshments, and promotional materials. Sponsors will be invited to attend the showcase. Our “Top 25” ranked Game Development Concentration, led by the Games Design Research Center, has launched an effort to build a historical repository of gaming software and hardware that will make games available as a scholarly resource for students and faculty. Through a careful curation process, the objective would be to build a "collection" of games and gaming hardware, spanning the most popular and current games available to the more obscure and rare (yet significant) releases. As the repository grows, the DGRC will leverage the Hunt Library’s immersive game lab to provide a game playing space with an archival/study component. Your sponsorship of this initiative covers acquisition cost of hardware, software, and related documentation for the build-out of the collection. These will recognize CSC graduate students selected at the end of the academic year in four categories: Outstanding Research Assistant, Outstanding Teaching Assistant, Outstanding Dissertation and Masters Research award winners. Your sponsorship will help cover cash awards, plaques and related expenses incurred during the selection process. Sponsors may also have an opportunity to attend and participate in student award ceremony. Attracting US-based candidates for graduate studies in computer science has become increasingly competitive. Your sponsorship will provide the graduate office incremental funding to support the recruitment of US Ph.D. and M.S. students, including recruitment visits, entertainment, and print collateral. Sponsors will be invited to attend related events. This computer and network security related competition, hosted by CSC student organization HackPack every spring semester, allows teams to compete in a wide range of challenges to find “the flag.” It promotes an interest in computer security issues, encourages teamwork, and stimulates out of the box thinking. The competition is open to all NC State students, as well as high school students from the surrounding area. Your sponsorship will cover refreshments for all the contestants, prizes for the winning team and support for the HackPack group. Sponsors may be invited to participate as panelists in the competition. This is a special outreach initiative targeting female high school students who have been accepted at NC State University, expressing an interest in studying computer science. The initiative will provide a special package to be mailed to EVERY admitted female student, which will include hand-written notes and valuable information about what to expect when they arrive on campus, what life is like for a computer science student at NC State, and what are some of the secrets to success in the major. The package will also include a variety of departmental SWAG ranging from mouse pads, laptop stickers and a special T-shirt. Packages will be assembled by our CSC student ambassadors and mailed in the spring. Your sponsorship will help cover shipping materials, promotional materials, SWAG and shipping costs. Sponsors can provide their own branded SWAG, recruiting materials, etc. to be included in the package. A national search is underway, and the department of computer science will welcome a new department head starting in the fall of 2018. To introduce the new head to alumni, corporate partners and friends of the department, a series of special receptions and engagement events will be planned around the country. 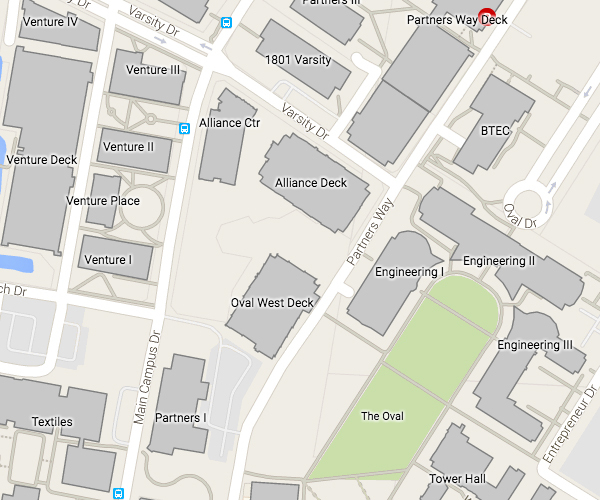 Tentative sites include RTP, Charlotte, Seattle, Silicon Valley, and potentially others. Your sponsorship will help cover facility rentals, catering and refreshments, invitations and promotional materials, decorations, equipment fees, and other expenses associated with planning and coordinating the events. Sponsors will also have an opportunity to host, attend and/or participate in one or more of the events. Every year, 100 to 200 students take an advanced undergrad/masters-level course in Object-Oriented Design and Development. As part of their work, they develop modules for open-source projects, including Mozilla and OpenMRS, as well as the locally developed Expertiza peer-assessment system, a Ruby on Rails application. Students do much better work when they are guided by experienced contributors to these projects, who can guide them through the projects' environment and help them come up to speed with tools like RSpec, JQuery, and Travis CI. Your sponsorship will enable us to enhance the learning effectiveness of this course by hiring top-performing students from the course to serve as TAs and/or mentors to teams in subsequent semesters. Funds might also allow for the hiring students to build out the project infrastructure (pulling student contribution data from Github, recording videos on how to use the tools, etc.) We are interested in working closely with local Rails developers as sponsors, and the professor would work directly with sponsors to arrange for classroom visits for short presentations (~ 5-minute) on their companies, how they use Ruby on Rails, and to explore direct mentoring opportunities with student teams. This program will offer graduate students an opportunity to gain insights into the proper etiquette for business receptions/networking events, and also how to best leverage these events to expand their network. A speaker will lead the program, and employers/alumni will be invited to mingle with the students throughout the event. This event will be attended by graduate students, many of whom are new to American networking functions. Navigating Networking is scheduled for early September, early in the fall semester, providing a talent preview for those companies recruiting MS & PhD students. Sponsorship will help fund event expenses, such as materials and refreshments. Sponsor will have an opportunity to send representatives to interact with students during the program, and provide company branded table with materials/giveaways if desired. As technology moves into all aspects of our lives, it succeeds or fails based on how well it works for people. Knowing this, corporations develop products in interdisciplinary teams, with members drawn from computer science, psychology, design and more. Unfortunately, members of these teams typically have little or no experience working with other disciplines. You can help address this problem by funding a pilot course project in user experience, organized by NexUX, the emerging regional UX collective centered at NC State. Given your sponsorship, NexUX will put out a call for participation to member faculty with project courses. Students in relevant courses (e.g. computer science, design and marketing) will then collaborate to realize the project. You may contribute the project content yourselves, sponsor an existing project, or ask that the project contribute to the community (e.g. by working with schools or the City of Raleigh). Your contribution will fund materials and supplies for the project. Please contact Ben Watson (bwatson@ncsu.edu) if you have any questions. Is technology improving your life? User experience (UX) is the emerging discipline that has taken on this mission, and NexUX is the regional UX collective working to ensure your answer is a resounding "Yes!" Centered at NC State, NexUX brings together leading thinkers, educators and makers in a wide range of disciplines, including engineering, design, psychology, management and more. NexUX is a venue for discourse, education and research. NexUX is seeking sponsors for this year’s series of meetups and podcasts, which brings together academic and industry experts examining the intersections of UX with fields such as behavioral science, analytics, design, engineering need marketing. Your sponsorship would cover expenses for podcast production, meetup venue, and refreshments. Sponsors would be invited to all meetups! Please contact Ben Watson (bwatson@ncsu.edu) if you have any questions. Today’s technologies succeed when they work well for people - and understanding both technology and people requires disciplinary breadth. In recognition of this, corporations develop products in interdisciplinary teams. Unfortunately, our educational system is siloed, with graduates having good depth of expertise, but lacking the breadth needed to work well with other disciplines. We are developing T-Camp, a weekly series of evening workshops that will give attendees the disciplinary breadth they need to become become more T-shaped: with not only deep expertise in one discipline, but also familiarity with many others. Each workshop will introduce attendees to one discipline needed by good UX teams, and give them the chance to practice working with such teams. Attendees will be balanced across disciplines, industry, and academe. Your support will help NC State’s nexUX collective collaborate with AIGA to organize these workshops, including honoraria, refreshments and marketing. Please contact Ben Watson (bwatson@ncsu.edu) if you have any questions. A recent study from the National Science Foundation reported that non-white Americans make up 36.4 percent of the population, but just 18 percent of those receiving computer science degrees. In such a growing field, it is vital that under-represented students have the same exposure and opportunities. Therefore, the purpose of this sponsorship option is to inspire and expose under-represented students across campus to the power of computer science. The competition can take the form of a mini-hackathon (coordinated and run completely by the sponsor) in which participants will have the chance learn the basics of programming and work in teams to create a novel design in a limited amount of time. We also understand that some of our members may not want to commit to something as time consuming as a hackathon, so another option would be to provide a tutorial session on working with devices such as an Arduino or Raspberry Pi. During this tutorial session, our participants would be able to get a chance to set up these devices so that they could implement code that would allow the devices to be used in an interesting way, such as turning the device into a game controller game. This would provide participants exposure to coding in a way that would allow those that were unfamiliar with coding to be placed in a more beginner friendly atmosphere and it would allow our more seasoned participants a chance to apply their code to a real world application. Sponsors will work directly with NSBE leaders to design the event, which will be promoted to all diversity-related engineering organizations at NC State. This option will provide a unique opportunity for members to gain valuable programming experience, bond as a chapter, and interact with aspiring engineers. Your sponsorship helps to cover the cost of food, prizes and promotion. The named sponsor will be expected to coordinate and run the event, while NSBE serves as the host organization, helping attract a diverse pool of participants. This broad initiative involves a comprehensive strategy designed to broaden participation of under-represented student groups entering the computer science discipline at NC State. It addresses both attraction and retention, with a strategic focus on increasing diversity in the talent pipeline. Our comprehensive multi-media communications campaign involves developing outreach connections with targeted high schools and middle schools, identifying and connecting with expanded pool of prospects, updating and refining all collateral and promotional materials, making ongoing enhancements and updates to the Future Students web portal to include the creation of 2-3 alumni profile features and/or videos each semester, and developing sound evaluation methods and tools. Retention-focused efforts include, but not limited to our special “mindset” video series in CSC intro classes, unique conference experiences, developmental/training opportunities, mentoring efforts, networking events, etc. Sponsors of this initiative will have the opportunity to participate in a variety of unique outreach and engagement events throughout the year. The Peer Teaching Fellows (PTF) program is a collaboration between NC State University, Duke University, and UNC Chapel Hill to identify evidence-based practices for training undergraduate teaching assistants in introductory computer science courses to support increased student learning and diversity. We will be creating a community of PTFs to support students in CSC216, our second-semester programming course. In addition to technical leadership, PTFs will be trained in communication and teamwork skills to support students in CSC216. Your sponsorship could cover undergraduate PTFs in hourly positions, supplementing departmental TA allocations and providing additional support for student success; refreshments for training workshops, weekly PTF meetings, and other PTF events. Sponsors will also be invited to meet with the PTFs, a select group of undergraduate & graduate student-leaders in our department. This intimate recruiting event is provided exclusively for CSC undergraduate students, and is targeted for late October in the Talley Student Center on main campus. Sponsors will send representatives to host tables and interact with students. The dinner will consist of three courses, and students will rotate to different sponsor locations for each course; two rotations based on selections they make in advance of the event. Your sponsorship will cover the cost of facility rental, catering, door prizes and promotional materials. Sponsors will be expected to send up to two representatives to engage directly with students, and will be provided a resume book of all attendees. All sponsoring companies will be given time to address students with their “Top 3 Takeaway Points” provided in lightning fashion. This is an opportunity for NC State University to host distinguished speakers in the general area of quantum computing, with between six and eight research-oriented talks per academic year. Your sponsorship helps to cover the travel expenses for the invited speakers, and also to support the costs of the lunch for the speaker and up to 5 hosts (area experts, faculty, and/or students), and the costs of recording the videos of the talks. Sponsors will be invited to all talks in the series. Fall or Spring - In an effort to encourage innovation and tap into the entrepreneurial spirit among computer science students, our Senior Design Center is expanding the scope of the center to offer capstone entrepreneurial project opportunities for students. Specifically, the SDC plans to encourage student teams to compete for a limited number of senior design capstone project slots, which would be dedicated to student-defined initiatives. Competition would be in the form of proposals from student teams submitted to the Senior Design Center leaders for evaluation. 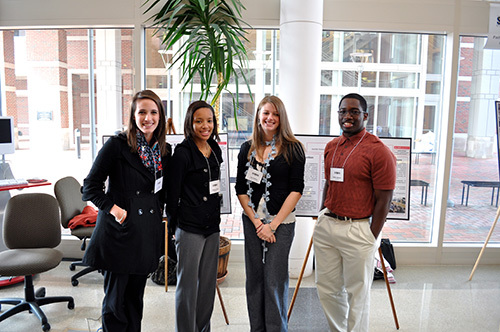 Winning proposals would empower student teams to advance their ideas as the subject of their capstone projects. Sponsors may have the opportunity to serve as advisors and mentors to the student teams, if they desire. Fall or Spring – At the end of every semester, student project teams present summary project presentations and hands-on demos of their semester's project work to sponsors and VIP corporate guests. Approximately 300-500 people attend this event. Your sponsorship covers refreshments and collateral. Held on the day of the SAB’s annual meeting, these events provide our SAB members an opportunity to network with various members of our faculty, staff, and key student leaders. Your sponsorship helps cover catering, floral, and other associated expenses. If sponsor is not represented on the SAB, an invitation to attend the breakfast and/or lunch will be issued. The SAB is a group of approximately 25 business executives and academic leaders who meet annually with department leaders to provide guidance and direction in support of the department’s strategic planning efforts. Your sponsorship helps cover the expense of the pre-event networking social and dinner. If sponsor is not represented on the SAB, an invitation to the social and dinner will be issued. STARS is a multi-institutional alliance with a mission to increase participation of students from diverse backgrounds, including women, students from underrepresented groups, and students with disabilities, in the discipline of computer science. 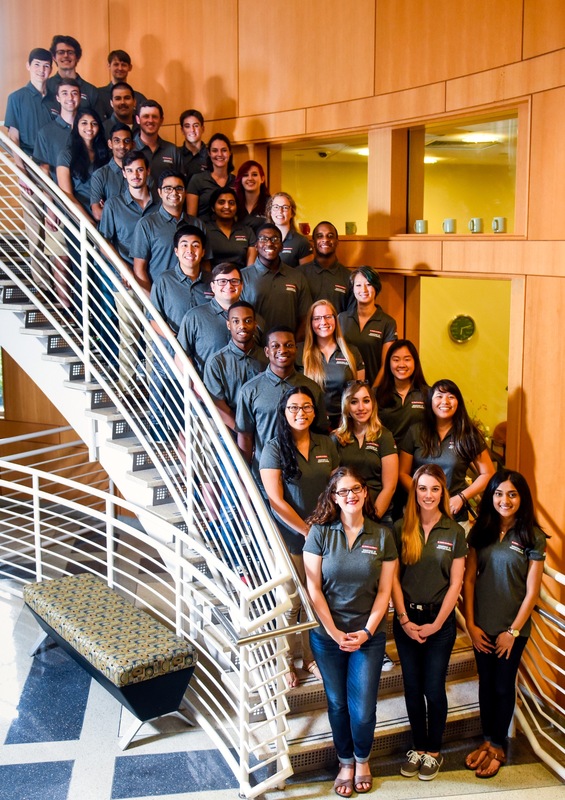 The student organization pairs undergraduate and graduate student mentors in teams to conduct meaningful research, community service, and outreach activities throughout the Triangle area. We emphasize activities that both increase our university students' sense of identity within the computing discipline, and that are likely to bring more students into the discipline in the future. Your sponsorship will be used to support a variety of strategic initiatives including, but not limited to the purchase of teaching kits, technology solutions, developmental tools, travel and conference participation, and special student awards and recognition. More details on this year’s planned activities can be provided upon request. Sponsors are invited to a variety of events throughout the year including special presentations, poster sessions, and a year-end celebration event. 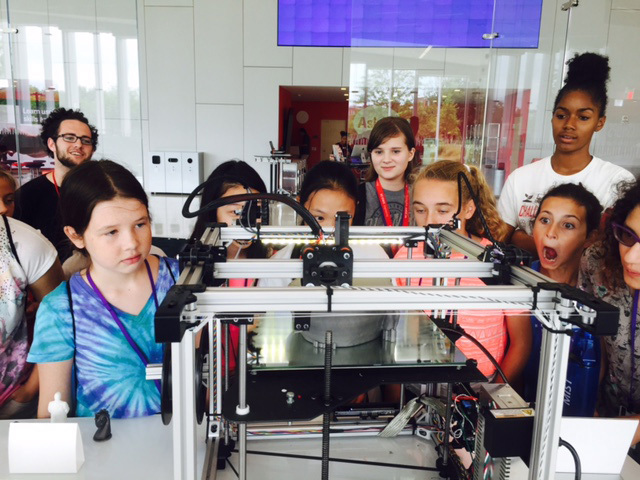 The department hosts a very successful summer program for middle & high school students consisting of variety of week-long Computer Science camps and workshops. Camps take the form of resident workshops (students stay on campus in dorms) or day camps (no overnight element) accommodating 25-35 students, providing them a basic introduction to the discipline through a variety of fun and exciting hands-on projects such as the creation of Android apps using MIT's AppInventor. Sponsors are welcome to attend the camp reception, held at the end of the week for students to demo their work to family, friends, faculty and staff. Your sponsorship helps cover the cost of student supplies (USB drives to take their work home), special events and extra-curricular activities, publications & promotional materials, refreshments, and other expenses associated with the workshop. We are planning a symposium on storytelling with data in combination with an accompanying half-day hands-on workshop. The symposium will be a forum for researchers, educators, and students to meet, learn, and exchange ideas. The event will be held in collaboration with NC State’s Institute for Advanced Analytics, and the Bioinformatics Research Center - we are targeting a date in late April 2019. The symposium will focus on how to communicate complex analyses effectively. How can we tailor results to specific user groups (for example scientists, students, clinicians, patients, or the general public) and present them in a way that they are easy to interpret and recall? This event is an opportunity for NC State University to host distinguished speakers in the area of data storytelling and analytics. Your sponsorship helps to cover the expenses of the invited presenters, and the costs of recording the videos of the talks. Sponsors will be invited to the symposium. This is an opportunity for NC State University to host distinguished speakers in the general area of data management, with between six and eight research-oriented talks per academic year. Past offerings of the series have been a great success, please see http://dbgroup.ncsu.edu/?page_id=89 for the abstracts and videos of the past talks. These talks allow area experts, faculty, and students to come together to interact with recognized leaders in the field of data management. Your sponsorship helps to cover the travel expenses for the invited speakers, and also to support the costs of the lunch for the speaker and up to 5 hosts (area experts, faculty, and/or students), and the costs of recording the videos of the talks. Sponsors will be invited to all talks in the series. Hosted by the NC State Department of Computer Science, this series is committed to bringing in distinguished speakers in the area of theoretical computer science (broadly defined), with between six and eight talks per academic year (please see http://www.csc2.ncsu.edu/theoryseminar/ for abstracts of past talks). This seminar series enables area experts, faculty, and students to not only interact with recognized leaders across the field of theoretical computer science, but to create a vibrant local research community and establish NC State as a leader in forward-looking approaches to theory. Talks are typically held during normal business hours and draw an average attendance of 30-45, with attendance at some talks exceeding 75. Your sponsorship helps to cover travel expenses for the invited speakers, and also to support the costs of meals for the speaker with departmental faculty and students. Sponsors will be invited to all talks in the series. This popular event, typically held at the start of the fall semester, is hosted by the eCouncil and all the engineering departments on Centennial Campus (CSC, ECE, Chemical, Materials Science, Mechanical & Aerospace, and Biomedical) and their student organizations and serves as the official welcome back for students, faculty & staff to the new school year. It is traditionally held in the Masnari Gateway at EB2 and around the Engineering Oval, and features a DJ, games & activities, pizza, snow-cones, ice cream and refreshing beverages. Student organizations and event sponsors typically have a presence with table-top displays and use this as a recruiting event. Your sponsorship helps cover entertainment, equipment rental, catering, door prizes, etc. Launched in 2002, WiCS is a student organization with a mission of improving the attraction and retention rates for women in the computer science field. 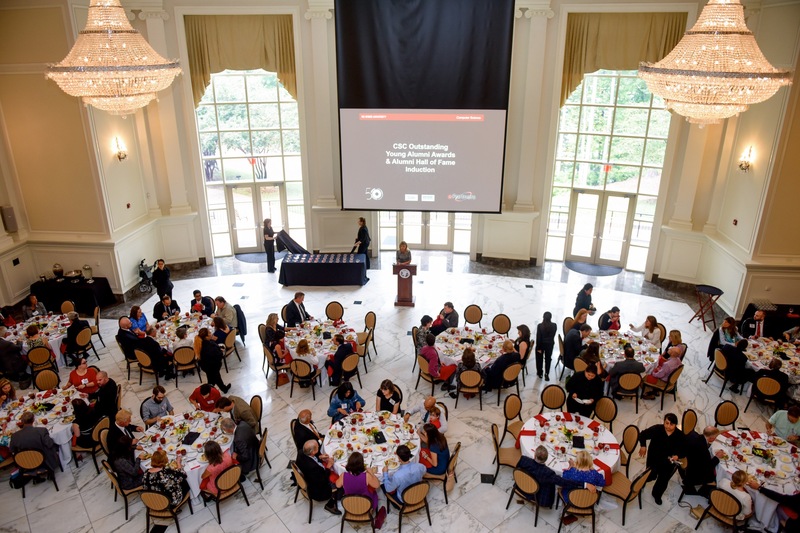 Sponsorships provide funding that allows our organization to be active, in a significant way, in outreach events and initiatives such as NC State’s annual Sisterhood Dinner, and the national Grace Hopper Celebration. Your sponsorship helps cover the cost of speaker fees, facility rentals, refreshments, publications, conference fees and sponsorships, affinity items, travel, and other expenses associated with unique outreach and recruiting opportunities. Sponsors have the opportunity to engage directly with this group via structured opportunities such as dedicated mixers, panels, info sessions and/or development sessions. This celebratory event is held in late-April / early-May, at the end of the academic year, and serves to recognize our students, faculty & staff who have won awards throughout the year. Your sponsorship helps cover facilities, audio-visual, and catering expenses. Sponsors will be invited to attend the event. This popular year-end event typically held at the end of the spring semester is hosted by ACM/AITP, but is open to the entire department (students, faculty & staff). Your sponsorship helps cover shelter, table & chair rentals, catering, games & activities, awards & prizes, and print materials. Event sponsors will be invited and can have a table to use as a recruiting event. Regardless of the choice you make, your sponsorship will be prominently noted via announcements, print & web collateral, banners, and/or other highly visible means. If for any reason, a selected sponsorship event doesn’t take place during the year, the NC State Computer Science External Relations team will work with sponsors to reallocate their support to another selection of their choosing. All ‘sponsorship’ donations (unless otherwise noted) are considered completely unrestricted. To this end, the department and the NC State Engineering Foundation reserve the right to use unrestricted funding in any manner necessary to accomplish the desired objectives and intent of the sponsored event, program, and/or initiative, and the right to use excess funding as required in carrying out the vision and mission of the department.